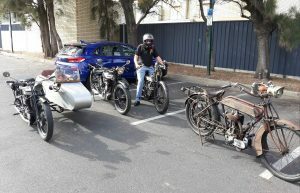 1927 Norton 16h, 1929 Raleigh 500 sport, 1914 Douglas and Ian and 1914 Bullock Big 4 precision ready for Moseley Sq Display. Sunday 28th April 2019 – Members will meet at at Mary Anne Reserve at Mannum. at 11am we ride along the river and back as indicated in the map – clock wise direction (see map) back to Mannum for lunch. COFFEE MORNING – April 6th 2019— Buckingham Arms Hotel Gilberton. Combined breakfast coffee morning and display at the Buckingham Arms Hotel on the corner of Walkerville and Northcote Terraces at Gilberton have been a big supporter of our Club over the last few years with many donations for our end of year raffles. To show our appreciation of this effort we have decided, in April, to have our monthly breakfast/coffee gathering there. This will allow us to put our bikes on display as an attraction for their patrons. Saturday morning coffee meet – on the 1st Saturday of the month – members ride their motorcycles to a venue and meet at 0930hrs coffee & chat at either Par3 cafe on War Memorial Drive Adelaide, or Cafe Vello in Adelaide Park lands – contact club for location as it might vary according to the availability of the premises. Club Rally Form .VVMCCSA rally entry form – this form must be filled out before you ride your motorcycle in a club even. 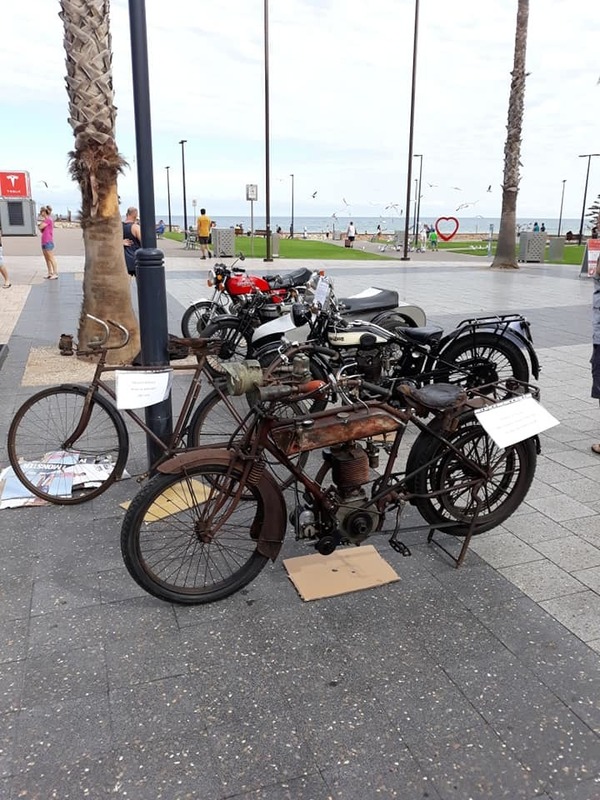 MR300B – declaration for exemption from surrendering number plates – If for some reason you need to lay-up your historic registered motorcycles for repairs – restoration or other reason and you wish to retain the number plate currently issued, complete this for and deliver to a DETI office. Corner Marshal information. For members desiring to be a corner marshal on a club ride, please read this corner marshal duties about the do and don’ts. But you need to be trained and qualified to perform this important position. 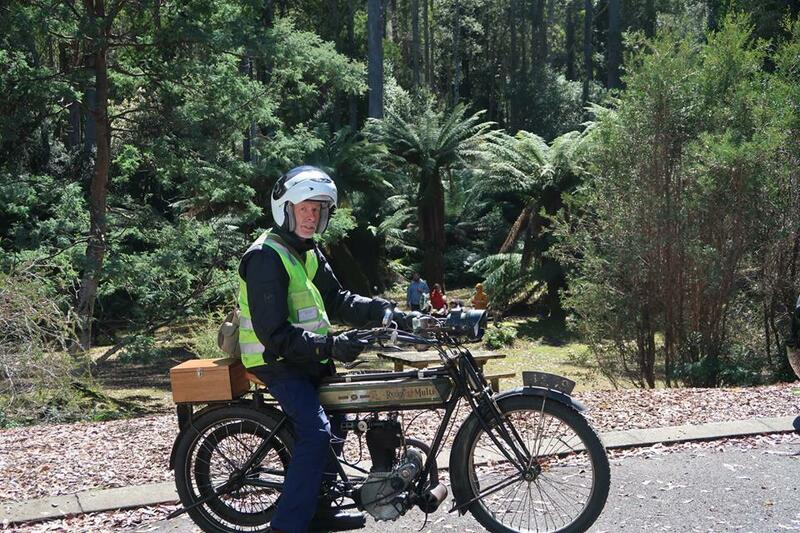 Welcome to the home page of The Veteran and Vintage Motor Cycle Club of South Australia. The VVMCCSA Club was formed in 1956 with the objectives of preserving, restoring and using Veteran, Vintage & Post Vintage Motorcycles. We are an active club of over 300 members, catering for veteran, vintage and classic motorcycles. Machines must be at least 30 years old in the current year to be eligible for Club Events and historic registration. We have Historic Vehicle Registration facilities for club eligible motorcycles. Our Monthly magazine – Smoke Signal can be seen and read under the heading of Smoke Signal. Our monthly meetings are at the Payneham RSL Club, 360 Payneham Rd, Payneham commencing 8 PM on the second Tuesday of the month. Visitors will be made most welcome – you don’t need to own an old motorcycles to be a member and participate in club activities. The Club is one of the oldest in the country, having celebrated our 55th Anniversary Rally in 2011. Each month we have a ride of members going north, east and south from Adelaide or a nearby town and most ride are through the picturesque Adelaide Hills. 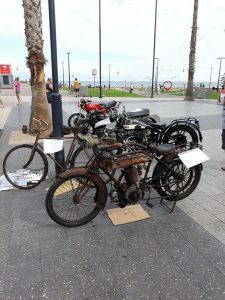 One of the Club’s activities is its annual Motorcycle Only Swap Meet at the Balhannah Oval each year. 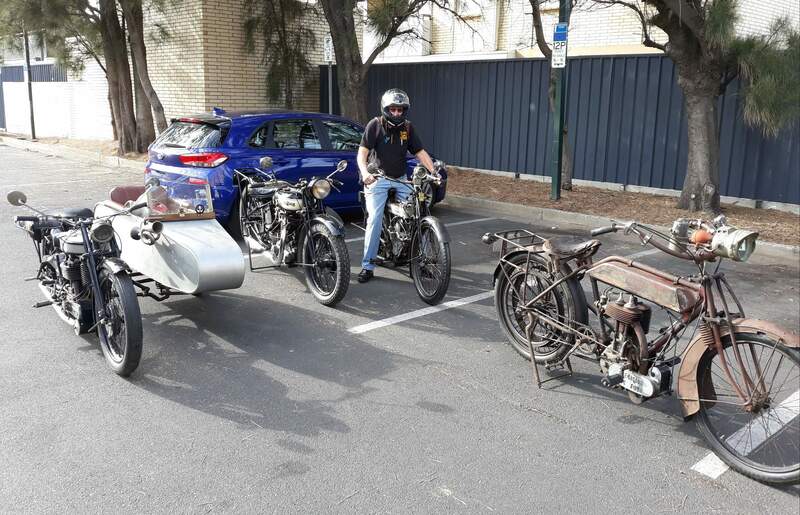 Fancy a week of historic motorcycling in the South Australian countryside?